Samsung introduces smart watch. But without any smartness! The era of mobile phone can be classified as before iPhone and after iPhone. When iPhone was introduced they were revolutionary, smart, awesome and technologically far advanced than any other phone available in the market. iPhone is the first true smartphone and a game changer. 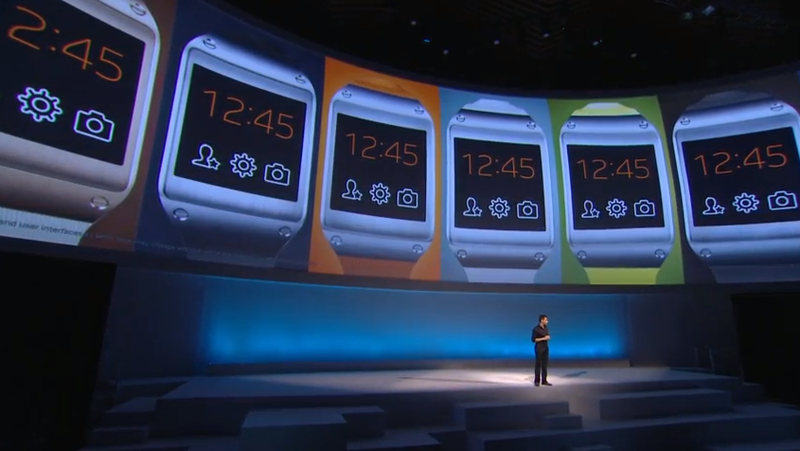 With the same goal in mind, Samsung tried revolutionizing watch industry by announcing Galaxy Gear watches. They branded them as a smart watch, hyped its release as if it’s going to revolutionize the way we use watches. But in reality there is nothing exciting about it. Instead it’s an expensive (300$) one, battery lasts less than a day, user interface is very very slow, has small memory capacity, not much of use if not connected to a Samsung phone!! With so many negative, how can it be a smart watch? Samsung has left the door wide open with the Galaxy Gear, which looks both rushed and exorbitantly priced at the same time. 1. Apple surprises with iPhone 2. Tablet rumors 3. Others rush crap to market 4. iPad 5. ‘iWatch’ Rumors 6. Others rush crap to market 7. ? With the rumors of Apple building smart watch, Samsung rushed to the market with its own version of (smart) watch as a preemptive strike. But with a half baked product and without any innovation it back fired on it own reputation. This would’ve been great chance to Samsung to prove that the company is innovative and not a copy cat. But it failed to innovate and missed a chance. 1 Comment on Samsung introduces smart watch. But without any smartness! Not entirely convinced about smartwatches, the fact that they are not a stand alone product and need to work with a tablet or smartphone and don’t add that much seems to be the sign of a money milking product in stead of true innovation.